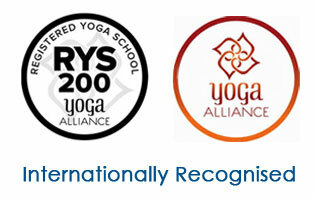 Pillars of Ajarya Yoga Academy!! Yogi Vishnu Ji started practicing yoga at the early age of 12 and decided to leave his family and friends behind to pursue the yogic path and there he met his first Yoga Master - Narayan Muni at Jharsuguda Muni Samaj Yoga Ashram. It was here he took his first step into the Himayalan Tradition. In 1988 he met his second Yoga Master - Swami Niranjan ji to learn the wisdom of the Vedas and came across the Jnana Yoga (knowledge), which taught him important lessons in the path to self-realization. After joining Sri Satya Sai Baba's ashram to learn the spiritual beauty and value of the Karma Yoga (charity work), his life changed completely.During this time he had to undergo a heart surgery and this experience made him realise the importance of charity. In the year of 2001 he left home for the last time and decided to become a monk. His wanderings eventually led him to the holy city of Rishikesh, where once again he came across the Himalayan Yoga Tradition, but this time to never leave it again. After studying and practicing yoga under Swami Veda's motherly heart- his greatest guru, and becoming a master in the Himalayan Tradition, he opened his first Yoga School where we welcome students and seekers from all around the world to carry on India's most ancient and important heritage of Yoga. A highly motivated Yoga Instructor with advanced training in yoga and specialization in Hatha and Ashtanga principles, enjoys inspiring others to improve wellness and commit to long-term health and fitness goals. Experience- Lead yoga classes for all skill levels, from beginners to advanced. Teaches students correct postures to ensure maximum benefit and safety. Provides guided meditation at the beginning and end of each class to help students center themselves and get the most out of each session. Give students in-depth understanding of breathing techniques. Instructs and mentors future yogis in studios for teacher training program. Serve people to make them realize the importance of yoga and to maintain a healthy body and mind. Give them knowledge and information about each asana as to why it is done and what benefits would they gain out of it. Guide students to modify poses to avoid anatomical problem areas or to challenge themselves as needed. HIGHLIGHTS: Teaching HATHA YOGA, ASTANGA YOGA, VINYASA FLOW, Encouraging leader, Adaptable professional, Flexible instructor, Team player, Intuitive, Customize programs to individuals, Works with all experience levels. 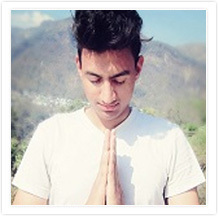 Rajesh Rawat is a young yogi who is inspired by great Indian sages of the past. He learnt yoga under the guidance of skilled and different yoga masters. He has completed his masters in Yoga Science and dedicated himself to Hatha and Asthanga Vinyasa, Vinyasa flow teaching. Energetic and outgoing with collaborative spirit. To him “yoga is the journey from the gross body to the self”. 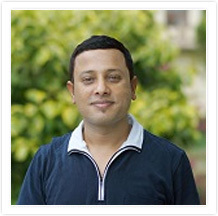 Ajay Dashmana- a reputed teacher of Yoga Anatomy & Yoga Therapy in Rishikesh has an in-depth knowledge in the field of Yoga Anatomy, Physiology & Yoga Therapy. He imparts knowledge on a deeper level that helps people to lead a healthy and peaceful life. The philosophy of his life focuses on “Educate and Transform”. Areas of Expertise- Yoga as Science, Asanas and Muscle movements, Public Speaking, Communications, Motivator, Problem solving skills. Academics- certified in 500 Hours YTTC, Certificate Course in “The Art of Daily Living”, Diploma in yogic science from CV Raman University, Post Graduate degree of Arts from HNB Garhwal University, Graduate degree in bachelors of science in IT. Inter mediate from Army Public School and High school from Army Public School. Swami Shri Kasyap Ji more popularly known as Swami Ji is a tale of nature and its love for all-alternative called spirituality. Born in Bikaner, 1960 in Rajasthan to Shri A. N. Kasyap, an eminent educationist, Swami Ji developed exceptional hobbies of touring the Great vibrating Himalayas in pursuit of acquiring meditational and yogic skills to become a master of "Mistry School". Swami Ji authored invaluable works since 1986. Being clear hearted he began with poetry. His clasping publications like "Dard Ki Amanat", "Himalaya Ki Mahak" culminated into "Man Ki Bansuri" (2011), all are poetical songs of nature and natural feelings of humans. Swami Ji in his own style explored the medicational skills of acupressure and 'sparsh' therapy as his hobbies. He strongly propagated and delved deep into real knowledge in his writing of high order titled "Punarjagran"(1991). Unsatiated, Swamiji then brought out his very exceptional treaties on "Atamgyan" 2009 i.e the essence of teachings of the ancient sage "Ashthavakra" the invincible, analyzed in most beautiful manner and praised by all readers equally. He wrote " Yog Samagra Vigyan" in 2011 to spread the message of astang yoga. Received President Medal for bravery and a number of accolades in alternative therapies. The best tribute was given to his work in poetry in a dissertation of Miss Chetna tharu who presented it on "Nature and love in the poetry of Swami Sanjiv Ji" for her M. Phil completion. He is heard pervasively in talks, discussion, poetry and programs, whereas his unbound and captivating knowledge flows freely in his classes and seminars on meditation, rekie and yoga. We salute this vanguard of human elevation into the realm of purification of soul and spirituality. Yogacharya Narender Arya is born on 14 July, 1986 in Shri Ganganagar,Rajasthan. From his childhood he started brushing up his spiritual skills and cultivated yogic interest. He studied Yoga and continued with Diploma in Yogic Science (one year) from Morarji Desai National Institute of Yoga, New Delhi. Then he completed his post-graduation from Yoga Swami Vivekananda Yoga Anusandhana Samsthana (S-VYASA) University,Bengaluru. Yogacharya Narender Arya is very much into yoga research and participates in different seminars andevents related with yoga. He has participated in Yoga for Youth, National Yoga Week. He has also attended Yogathon Event in Bengaluru. 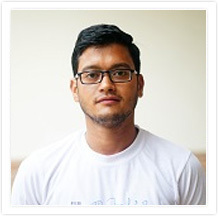 He has achieved gold medal in Himalaya Yoga Olympiad, Bengaluru. 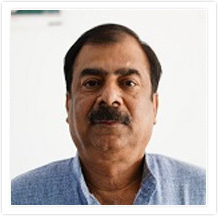 He has attended many international Conferences as such International conference on frontiers in Yoga Research & its applications, Bengaluru; Yoga for Health And Social Transformation, Patanjali Research Foundation ,Haridwar, Uttarakhand, India. He has also participated in Arogya Expo Bengaluru, India. He has also researched in Disease Management with Yoga and attended many workshops regarding like Yoga Management of Depression, Yoga Management of Back Pain &Neck pain, Yoga Management of Diabetes Mellitus,Yoga Management of Arthritis. He has taken VIP classes in SVYASA University Bengaluru. 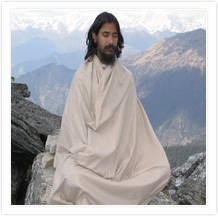 He has conducted many yoga camps and worked as Yoga Teacher in Gurukula.He also has experienced the life of Ashram as he has stayed in Vaidik Ashram for a year and learnt different Yoga techniques. 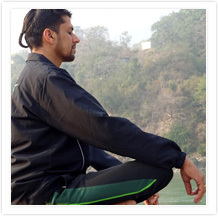 He has expertise in Classical Yoga, Therapeutic Yoga, stress management, meditation, Cyclic Meditation. Yogacharya Narender has firm belief in Yoga culture and its benefits. He promotes the goodness of Yoga and teaches the same to his students.